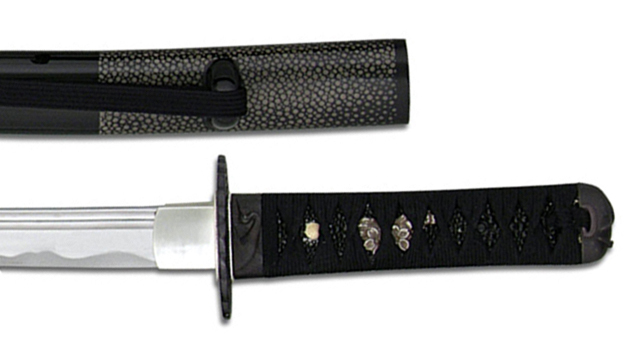 A wakizashi-length blunt shinken training sword that matches the Tsuru iaito. Made of a special stainless steel, they are much more durable than aluminum alloy iaito. Steel has the feel of a live blade and is not prone to distortion. These very affordable practice swords are ideal training tools for safely practicing the ancient art of iaido, particularly for those who wish to practice with the long and short swords together.